Winter weather has given away to a few days of warmer temperatures, and the sunshine may have you thinking about the coming of spring. It may still be a few months away, but at Advanced Landscaping and Sprinklers, we’re always ready to help customers get the lawn ready for the season. With our sprinkler system repair in 80521, you can have a great looking lawn once spring weather does arrive, and not have to play catch-up as your neighbors may have to. We offer early sign up discounts for all of our services, so if you’re concerned about cost, we’ll help keep your costs low. Since water is such a precious commodity here in Colorado, it’s important that when you can water your lawn. that your sprinklers provide the most benefit. If you have damaged sprinkler heads or crimped water lines, certain areas of your lawn may not get enough water, resulting in an uneven distribution of green across your yard. Once we’re hired for the job, we’ll provide prompt and professional service that removes any doubt that your lawn won’t be healthy come springtime. We can also provide landscaping installation and design, so if your yard is in need of an upgrade and you want to install a new sprinkler system, we’ll work hard until the job is done. 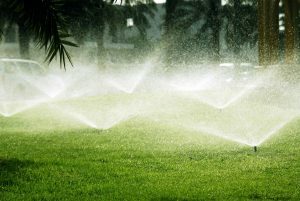 For those in 80521 that already have a system, our sprinkler system repair will keep your lawn looking great for years to come. Call us today at 970-305-3206 and it doesn’t matter if you live on Elizabeth Street or Vine Drive – we’ll be there to fix your sprinklers.